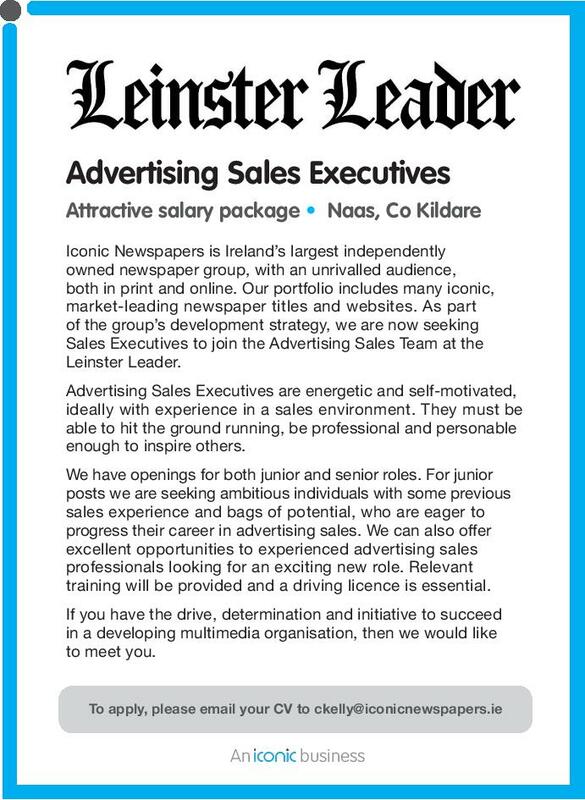 An exciting opportunity has come up at the Leinster Leader in Naas. The company is looking for an advertising sales executive who is energetic and self motivated, ideally with experience in a sales environment. Check out how to apply below.